David Bowie was one of the world’s most prominent musicians and has had songs that countless artists have covered, and remixed over the years. He was also one of the first iconic musicians to follow popular trends, like the internet when it reached its peak (approximately 1998 when it boomed), as well as had constant recordings and songs written that literally followed and kept up with the times. Not many artists can say that they were this diverse, and has crossed numerous boundaries in the pop/rock, and contemporary charts. While some younger people of today’s world may not recognize the artist themselves, even they recognize his music. 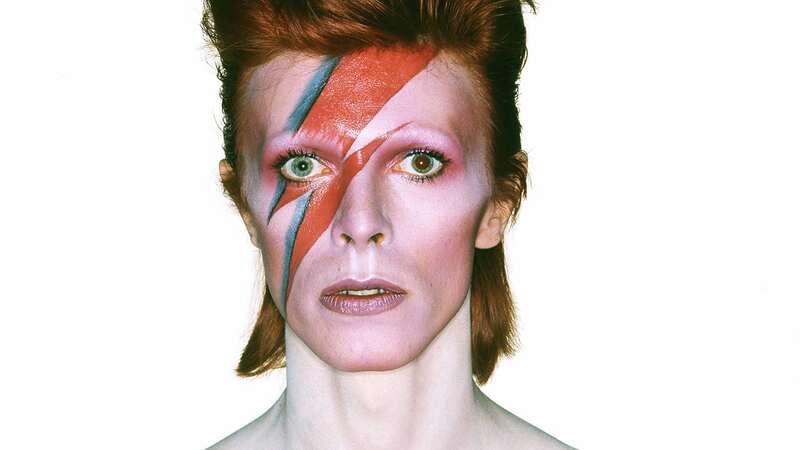 In this article, we’re going to go over the top 10 David Bowie songs, his top 5 albums released, and even provide you with information that is all things Bowie! If you haven’t heard of this song, you have been missing out on the world. Though it was released all the way back in 1969 from David Bowie’s first self-titled studio album, it has reached iconic proportions, appeared on television shows, commercials, and even been covered by bands of all different styles of music, including the hard rock band Powerman 5000 who were inspired by his music a lot (They even wrote a song titled “David F@! *ing Bowie” to honor him). Everyone has heard the phrase “Ground control to Major Tom…” in the lyrics. This by far the most popular and known song ever written by David Bowie. Many people don’t know that David Bowie even played saxophone on the song. Released originally with the Hunky Dory album (one his Bowie’s top selling albums which we’ll cover later), this song has been one of his most popular songs. It was literally one of the best songs Bowie had ever written, as it started out as a parody of standard bar songs, but he eventually decided to release it. Everyone loves the song, and it has made numerous appearances. He wrote this when he was going through a lot of changes in his life. At the heart of the 80’s, Bowie released his song “Let’s Dance”. This was the first way he showed his upkeep with the ever-changing music scene. The song reached number 1 on numerous country Billboard charts, and was even the runner up to Michael Jackson’s famous song “Thriller”. The song even featured the famous blues guitarist Stevie Ray Vaughan playing lead guitar on the song (ultimately getting Stevie Ray Vaughan’s career a leap for collaborating with such a famous artist). For being such an iconic song which is still played frequently on numerous outlets today, it’s no wonder why this song reached number 3 on our list. Even though this song was written and released as a single in 1975 before the album was released, this song was a perfect mix of funk music, which was starting to break out in the exact same time. The song lasted on the top charts in the U.S. for over 15 weeks, and it is still used to this day. The song itself has made appearances on numerous films and television shows over the years. From the best of, and numerous other compilations, many people also remember the appearance in the song of one of late-actor Heath Ledger’s careers, “A Knights Tale”. It also appeared on the soundtrack of Trainspotting 2, another popular movie of its time. Also released in 1975, John Lennon even had a hand in the creation of this song, making it yet another one of Bowie’s top songs. Basically, the song is about how even when you have more money and fame, it only gets you fancy things, but doesn’t change anything about you, and those things still cost a lot, so in a sense, the cost of living is the same. It also is a way to point out how fame can still leave you empty and lonely, which is something that a lot of startstruck people don’t understand. It ranked number 7 on Billboard’s top 100 and is one of Bowies four songs that made it into The Rock and Roll Hall of Fame for David Bowie. Heroes is a song that actually was about the Cold war. It was recorded in West Berlin before the wall even came down. The studio was about 3 football fields away from the wall, which made it even more relevant that the song is actually written about David Bowie’s producer and his girlfriend. And it was literally just about their love story. For years, Bowie even said it was about lovers that were near the Berlin Wall back when he recorded it, but he later changed his story to the one above. The song scored in the top 100 of numerous charts between 1977 when it was released and today, and the song has appeared in numerous films as well as being covered by the 90’s band The Wallflowers. “Heroes” even made its way into a “musical number” incorporated into the movie Moulin Rouge in 2001. Written for the album of one of the most iconic movies of all time, the Labyrinth, this song was written about the main character depicted in the movie. While he also known for the “ballroom” song “As the World Falls Down”, this movie was one of the six songs and by far one of the most heard from the album aside from “Magic Dance”. The song was one of the most diverse songs out there which depicts a heavy relationship of sacrifice, which many people can relate to. This was the darkest of songs ever written by bowie. The song itself was released as a digital download even before in December of 2015. He actually recorded and was a self-made epitaph which reflected on David Bowie’s future death from Cancer. The shorter edit of the song was on the music video, and he was informed during the recording of the cancer being stage four and terminal, so there was no treatment left. The song itself is the darkest of songs saying that he was looking down from everyone from Heaven, all over the world to see how everyone was reacting to the news. This song was just a small part of David Bowie’s dying gift to the world and his fans who didn’t know that he had liver cancer. In this song, David Bowie was trying to literally cram the experience that he had in America into one song. It was on the album with the same-named title, and was one of the first breakthroughs of glam rock in David Bowie’s times in America. It reached number 28 on America’s Billboard Top 100 tracks, and was the second biggest chart topping song. It still ranked 486 on the list of Rolling Stone magazine’s top songs of all time article, and is still on a regular rotation of radio stations worldwide. One of the biggest songs of 1997 of the 90’s that also peaked on the Billboard’s hot 100 and ended up spending more than 15 weeks on the chart. Until Blackstar was released, this was Bowie’s last original single. The rough mix was on the soundtrack on the movie Showgirls and the lyrics were later changed to say “I’m afraid of Americans”. It was recreated for the album titled “Earthlings” and the music video was even made of the Nine Inch Nails “V1” remix (which features Trent Reznor as well), and the song was remixed yet another time as well, and both remixes were also released on the U.S. album. The song caused a ruckus by many people, thinking it was directed towards Americans, but it was more directed towards the culture, like the way McDonald’s restaurants are now worldwide, Wal-Marts, Disney Worlds, and the likes. Under Pressure was one of Queen’s most iconic songs, but both David Bowie, and Queen take credit for 100% of the song as they collaborated together on it. It is featured on the Nothing Has Changed album released by Bowie, and was released on the album Hot Space. In 1990, Vanilla Ice was actually sued ultimately for the rights of his song “Ice Ice Baby” for the song being the primary sampling line of his hit (as Under Pressure was his primary bassline and background music). This song was even covered by numerous artists like My Chemical Romance and even Shawn Mendes. Because of this song’s success, it tied in the number 10 spot as one of the most iconic David Bowie songs of all time, since it was a Bowie/Queen collaboration. While the top songs aren’t necessarily all on the list of the top Billboard Album’s according to the Top Billboard’s Official U.K. Albums Chart, most of these albums all feature songs that are included in the top 10. Surprisingly enough, many of the top selling and chart topping albums were actually a compilation of the best songs written and released by David Bowie in the entirety of his career. This song spent 24 weeks on the chart and peaked at number 1 in February of 2016. The album is also the first disc in David Bowie’s Platinum Collection released in 2005. There is a Japanese version of the album which features a different track number 20, and includes many of the most iconic popular songs by Bowie released during his early years. Blackstar was truly a parting gift written, recorded, and released for David Bowie’s fans and loved ones. He was battling liver cancer, which is a very deadly disease with a very low turnaround. As soon as he started to record this album, he was diagnosed with the disease and decided not to tell anyone about it. Even popular media stations weren’t ready to receive Blackstar. But when they did, everyone ran out to buy it after he released his key song “Lazarus” about his death and the video went viral. This song hit number one on numerous charts, including the Billboard’s top 100. Yes, again a collection of David Bowie songs was released in 2016 that featured “the best of”. It showed his legacy and includes every single one of the top songs on our list. This album was composed to honor him. It even included the song Lazarus on it as well. The album was a two disc set that was release by Sony Music Entertainment in the United States and Warner Music Group in the U.K. It even includes a few special mixes that weren’t on some of Bowie’s released albums in previous years. Many people didn’t know about this album, and only diehard fans actually bought it. But it was a raving release in 2013 and made the number one spot on the U.K’s top 100. It featured the main single “Where Are We Now?”, with the single being the first release on iTunes Store. After a 10-year hiatus of original material, this song was a success and was even nominated for a Grammy in 2014 as one of the Best Rock Albums. It was definitely one of the most successful “comeback” rock albums ever written. This is another Best of album that was literally released in multiple disc formats. One set included a 3-CD Deluxe Edition, as well as a 2-Disc Set, and even a single disc version. 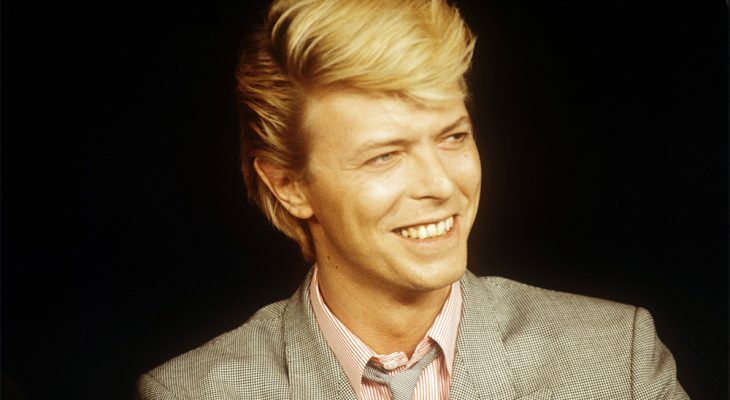 Not only does it include numerous songs on the top list, but it also includes many collaborations that David Bowie made with other artists, ranging from the Pat Methany Group (One of the world’s best and most awarded guitar players), Queen, the Pet Shop Boys, Mick Jagger, and many more. This album not only made number 5 on Britain’s top 100, but it also made it to the top 10 in more than 10 countries, as well as ended up being in the top 100 in more than 25 countries charts. David Bowie was not always David Bowie. When he was born, his name was David Robert Jones. He was born on January 8th of 1947, twelve years to the date that Elvis Presley was born. He was raised there until he was six and earned his reputation as not only a gifted child, but also a fighter at the Stockwell Infants School in London. At the age of 6, he went to Bromley and attended a junior academy. He started performing in the choir and was also recognized for his gift in playing a recorder (a fluted instrument). By the time he was 9, he ended up dancing to newer music of the times, and he was an eclectic soul. 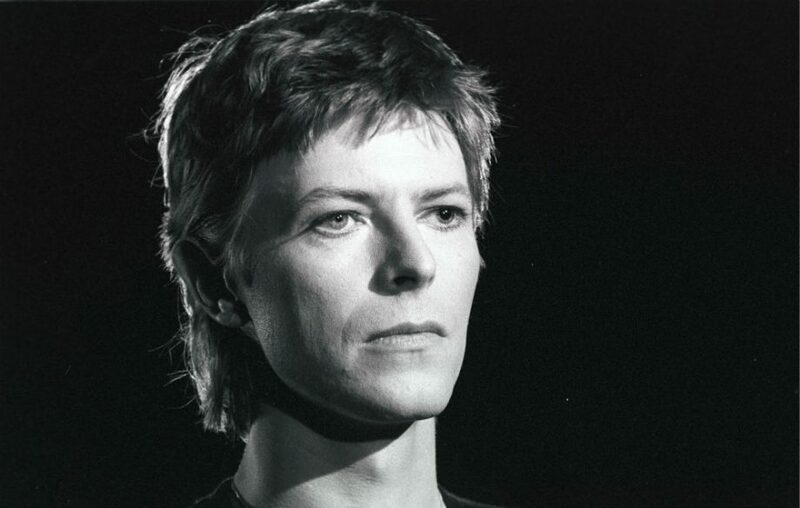 His father bought numerous vinyl albums and when listening to that music, Bowie got hooked. During his teenage years in 1962 however, he got in a fight with his friend who punched him in the left eye, resulting in a permanently dilated pupil and depth perception issues. This made it look like his iris was a different color as well, and was also the spark of inspiration for numerous artists of the modern rock era to wear contacts representing this feature, even though his eyes were actually the same color. David Bowie was in numerous bands before his career launched in 1968 when he started writing Space Oddity. He actually recorded that album in 1967, and it sat going nowhere for two years straight until ultimately it started rising in fame. The album David Bowie was also around the time he changed his name due to his brand of “Davy Jones” often being confused with the famous Monkees band member with the same name. But nevertheless, his career paid off with constant criticism and determination. There are some interesting things that many people don’t know for example. For example, many didn’t know that the artist did not like tea. He had an unfortunate incident with extremely strong 7-year old brewed tea in England that made him despise it. He occasionally drank green tea however. Another strange fact is that a spider named Heteropoda davidbowie, is a species of huntsman spider that is in the Heteropoda family (commonly known as huntsman spiders) in Malaysia to honor the singer. The reason that the spider was named this was because of Bowie’s references of “Glass Spider” and it is said that the face of the spider resembles Bowie’s face paintings early on in his career. Bowie’s success was actually brought on by the 1969 moon landing when BBC played Space Oddity over the famous footage, and then the charts snatched the song. It became David Bowie’s first number one song years later as the event actually sparked his career into overdrive. In the year 2000, David bowie was offered a position as Commander of the Order of the British Empire due to his success, and he gladly turned it down because he was modest. He didn’t know why they would do such a thing just because he was a musician. In 2003, he was offered a knighthood just like Paul McCartney and numerous others. Once again, he was too humble for his own good and rejected it as well. When Napster was still just getting a start, David Bowie decided he would make a breakthrough. He actually made the song “Telling Lies” available online directly on his website during a web chat on which he had fun with his fans and had two other people pretending to be him. It was the very first single by any major artist downloaded by more than 300,000 people worldwide, and was made an official single release later. This song and David Bowie was the very first downloaded song by any artist as far as official release by permission. So yes, David Bowie really sparked a movement there. Nobody knew that the Goblin King himself had been diagnosed with liver cancer 18 months prior to his album release of Blackstar. There was no public notice made, and he kept his private life regarding it completely private, something that many celebrities cannot simply do with such sad news. Even media outlets didn’t know or rumor it. David Bowie continued to work, regardless of having to miss numerous rehearsals for the musical with the name of the star’s parting gift song “Lazarus”. Later on, he released the music video of the actual song titled “Lazarus” online (On his Vevo channel on YouTube) depicting his death. After he basically released the “information” of his imminent death, the video went viral, and had over 50 million views on January 11th. He broke the record of the amount of views by slapping the singer Adele back for her single “Hello” (which only had 36 million views). With an artist who’s been this diverse over the years, you may want to be inspired to listen to his newer music, or music that fits your genre. But to get a really in-depth look at the artist known as David Bowie, we highly recommend that you look at some of his older stuff and definitely a note to the younger people of this new generation that hasn’t even seen an episode of Looney Toons: Go Watch Labyrinth. If you think the Muppets are famous, you haven’t seen anything yet. If you don’t believe me, ask anyone who was raised in the 1980’s and they can tell you who David Bowie is.